What is chronic lateral epicondylitis? outside area. Three bones make up the joint to the elbow. The ligaments, muscles, and tendons are what hold the elbow together and when they wear out then surgery might be required. How is this different than tennis elbow? The condition called chronic lateral epicondylitis is referred to as tennis elbow, so there is no difference. 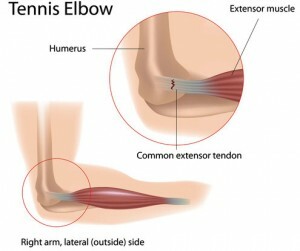 Tennis elbow can be a very painful condition, and often, may persist for over 6 to 12 months. This condition comes about because of overuse by a person either from playing tennis or other racquet sports, cleaning, gardening, lifting weights or other activities. How is chronic lateral epicondylitis diagnosed? X-rays – Taken so that arthritis or other inflammatory disorder is ruled out. MRI – Done to make sure that the condition is not part of neck problem or possible herniated disc, two conditions that can cause arm pain. Electromyography (EMG) – Done so the doctor is able to rule out any nerve compression, which resembles tennis elbow. 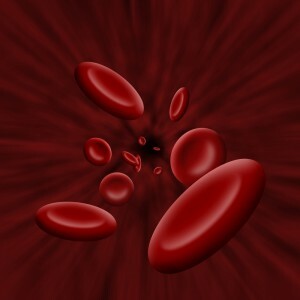 therapy, and non-steroidal anti-inflammatory medications. Dr. Farber, an elbow doctor in Phoenix, also offers PRP Therapy for tennis elbow which may help relieve the pain. If conservative measures do not help the pain and mobility, then surgical treatment is advised. The Arizona orthopedic surgeon will then proceed to remove any diseased muscle/tendon and reattach healthy muscle. It may be possible to treat this condition in a minimally invasive fashion with elbow arthroscopy. Your sports medicine doctor will advise on the appropriate one for your condition. What is the most common surgery for this condition? Open surgery is a common approach to tennis elbow repair. The elbow surgery is done on an outpatient basis, with no overnight stay in the hospital. The arthroscopic surgery is used to repair the elbow with tiny instruments inserted inside the elbow joint. It is also done as an outpatient, and may lead to an easier recovery. What are the risks of elbow surgery for chronic lateral epicondylitis? Infection – This is the most common risk involved. To avoid this, it is necessary for the patient to be careful about the dressing. Nerve and blood vessel damage – This is a rare occurrence, but the surgeon takes extra precaution to avoid.